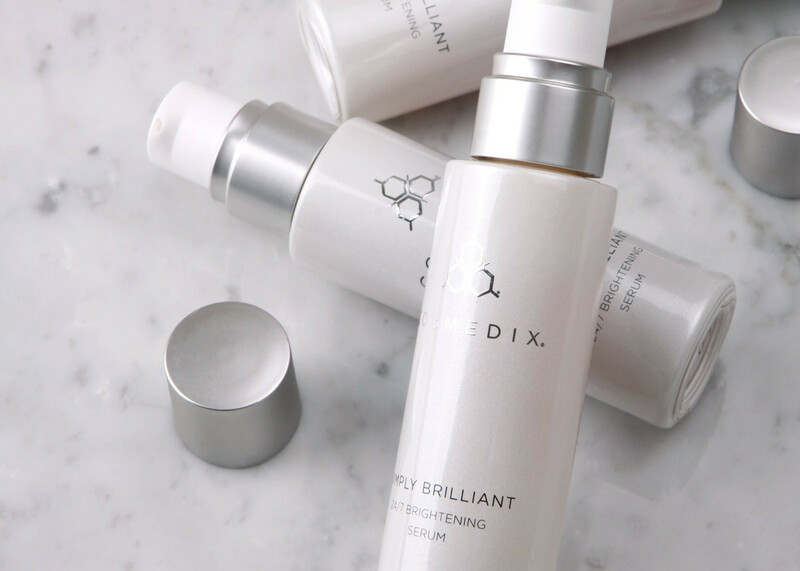 Uncover remarkable results with 10 skin-specific brightening ingredients that improve dull, discolored and uneven skin tone, as well as hyperpigmented and photodamaged skin, without the use of hydroquinone and arbutin. This brilliant formula also helps prevent future sunlight-induced pigmentation. 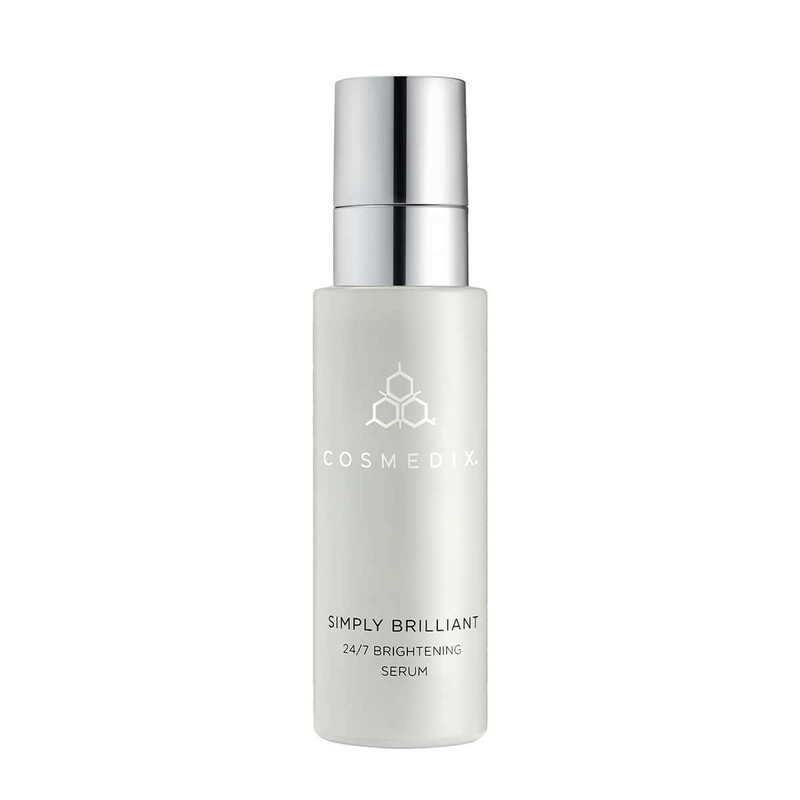 Complete with lactic and salicylic acids to refine texture and improve penetration of brightening ingredients, Simply Brilliant helps skin appear brighter and more radiant without looking blotchy. Apply a small amount to freshly cleansed and toned skin. Follow with additional recommended moisturizer and/or daily sunscreen. Apply as a spot treatment on existing acne to help prevent the production of hyperpigmentation once the blemish heals. Combined with Pure C this is a great way to lighten up sun spots and uneven skin tone. Use it after too much fun in the sun! One of my first ever Cosmedix purchase. I used this with the mixing crystals added a extra punch in my regimen. I highly recommend using it only at night if you live somewhere sunny. I use mine during the winter in the kit and get a whole seasons worth of use. Helped even out my complexion! I received this as a sample and intend to purchase it. It helped with the blotchiness and unevenness of my skin. 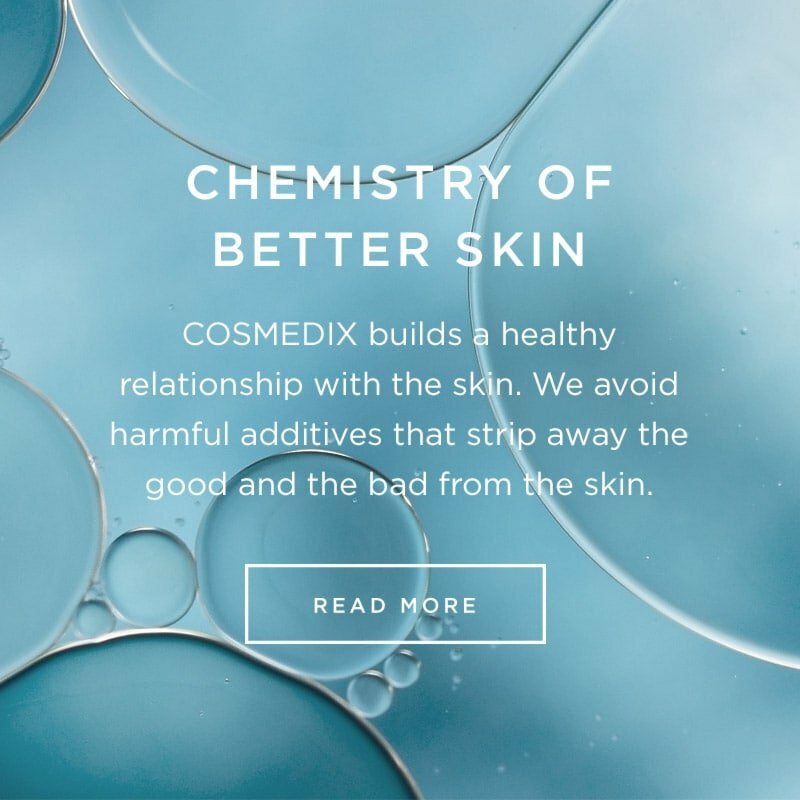 I mixed it with the Pure C crystals which always seem to boost the intensity of any of the Cosmedix products. this serum is great. i love that it is not greasy, so I can wear makeup after I apply it and still look flawless. it keeps my skin clear and smooth. I love how bright and beautiful my face looks now thank to this 24/7 serum! In love! I didn't notice a huge difference in my complexion or a reduction in my hyperpigmentation. I used it right after my pregnancy and perhaps my hyperpigmentation was too visible at this time. I'd like to give it another try. Love the way this product glides on my skin. My skin looks glowing and radiant. I received a sample of this product and was surprised by how firm my skin felt after using it a handful of nights. I've also used it with my aesthetician and she recommends it for my blemished skin. I apply a light layer to my entire face every morning after the shower, followed by SPF45. it only took a couple months to start seeing results. after a year of daily use I can't believe the difference in my skin. I thought I was doomed to have these dark spots forever. I'm really impressed by how well it works, and without any negative side effects. My client says it works wonderful, and she will continue to use it! Must have Simply Brilliant in ur skincare range. It works really fast. Within 1 month my skin tone have a huge improvement. My freckles almost gone, my skin look brighter. It doesn't look yellow anymore. I love it.